On June 12 the San Francisco Recreation & Park Department released the draft of a new policy regulating canine activity in the city’s parks. The draft, which has already ignited heated controversy, can be found at parks.sfgov.org/dogpolicy.htm. The department will receive public comment until August 13; for more information, call 415 831-2084 or email dogpolicy@ci.sf.ca.us. The San Francisco SPCA has cited significant shortcomings in the proposed dog policy released by the San Francisco Recreation and Park Department. “We support adding more off-leash dog areas in San Francisco parks, but flaws in the proposed Recreation and Park Department policy threaten the success of the off-leash program,” said SF/SPCA President Ed Sayres. According to Will Anzenberger, Director of Law and Advocacy at the SF/SPCA, the small, restrictive dog play areas (DPA) proposed by the Recreation and Park Department reflect a “cookie-cutter” approach that does not accommodate the diverse needs of people and dogs. “The play areas are too limited in scope and design to provide adequate recreation for San Francisco’s 120,000 dogs and their owners,” Anzenberger said. The SF/SPCA outlined deficiencies in the proposed dog policy. Many of the problems are rooted in the policy’s single-use approach, with segregated, fenced areas restricted to off-leash recreation. · Single-use areas are less efficient and less suited to the needs of people and dogs than shared, multi-use areas are. Single-use areas are especially problematic for families. They make it all but impossible for people to enjoy the park with their children and their dogs at the same time. 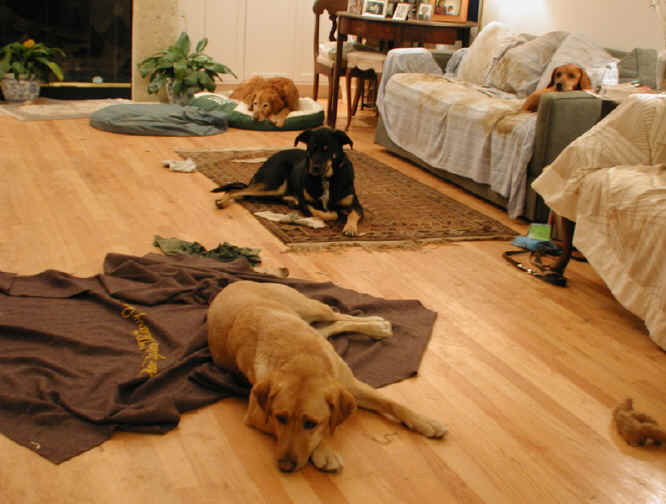 · The segregated dog play areas are too limited in scope and design. The needs of all dogs and their owners will not be accommodated in the small, confined spaces proposed in the new policy. · The capacity limits proposed for dog play areas are virtually unenforceable. The areas are certain to be overcrowded. Squeezing too many dogs into insufficient space defeats a key purpose of off-leash recreation — allowing dogs to move freely and interact without constraint. As a stakeholder, the San Francisco SPCA expressed its concerns to the Recreation and Park Department in April. Unfortunately, The SF/SPCA’s suggestions were not incorporated in the proposed policy released today. More information is available at www.sfspca.org or 415-901-6646. The San Francisco Dog Owners Group [SFDOG] rejects Recreation & Parks Department’s Dog Policy Draft as presented. The policy it outlines does not meet the needs of the dog-owning community, nor does it reflect San Francisco’s place at the vanguard of off-leash recreation. Rec & Park’s proposal calls for divisive compartmentalization of our parks, a ghettoization that would destroy vital green space and mar open vistas. A quarter of this city’s households include a dog, and playing with the family dog is a legitimate, healthy, and enormously popular form of recreation for people of all ages and ability levels. Many San Franciscans without pets come to the parks simply to interact with dogs and watch them play. This policy does nothing to recognize those facts and does much to treat dog owners and their dogs as undesirable elements that must be hidden from sight and confined in grassless pens behind barriers. · A child is many times more likely to be injured participating in team sports or playing on playground equipment than by a dog in the park. · San Francisco’s dog bite average is significantly lower than the national average and has been dropping steadily in recent years as the number of dogs playing off-leash in the parks has risen. · There have been no reports of dog-feces-borne illness in SF in more than 50 years. · Dog walking is a healthy, community-building activity, especially for seniors, the disabled, and the chronically ill — segments of the population which rely heavily on dogs for companionship and assistance and often can not participate in organized sports and other recreational activities. There is not enough parkland in San Francisco to continue carving it up into single-use plots. In this densely populated environment, shared use is the only acceptable solution. Already, dozens of athletic fields stand empty for large portions of the day, year-round, in some cases locked up to prevent casual usage. SF cannot afford to make separate spaces for each set of park users because some object to encountering others. Basketball players must share their courts with tai chi practitioners; walkers share pathways with runners and rollerbladers; Frisbee players must make room on the grass for pick-up soccer games. Mixed use happens successfully, every day, all over the city. Tolerance and sharing are essential components of urban existence. Any policy that attempts to force such an enormous segment of the population into ghetto-like pens will fail. Public education, not segregation, is the way to achieve more beautiful, welcoming spaces that respect and celebrate the diversity of San Francisco — in short, the exact types of places parks are meant to be. SFDOG is working with other stakeholders to revise the draft to protect our green, open spaces and to respect the diverse interests of the San Francisco community. We call upon dog lovers in San Francisco to take action in this important quality-of-life issue. Take full advantage of this public comment period to read the draft policy and submit your comments, in writing, to the Recreation & Park Department. More information is available at www.sfdog.org or 415-621-7495.